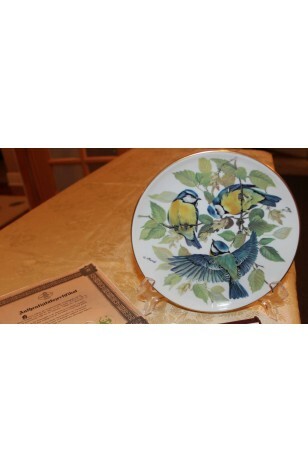 Tirschenreuth Porcelain Collector Plate, World of Wildlife Fund "Song Birds of Europe" Series Plate #1 by Ursula Band. Original Box and with Certificate. Produced only in 1985-86. We also have Plate #2 available as well (see item P65).